Key difference: Taoism and Buddhism are the two great philosophical and religious traditions that originated in Asia. Although, Taoism and Buddhism have similar goals, they completely differ in their beliefs, practices and perspectives about individual life, society, values, culture, the environment and even the universe. Taoism began in the 6th B.C. in China, whereas Buddhism is said to have originated in the 5th century B.C. in India. Both, Taoism and Buddhism are great philosophical ideologies with long histories, traditions, religions and have played an important part in influencing and shaping the Chinese culture and values. Although, both are similar in their goals, both have different beliefs, ideas and principles. 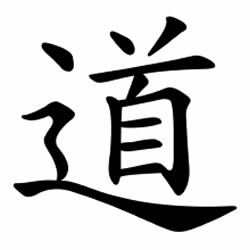 In Chinese, the word ‘Tao’ means ‘the way’, the force that flows through all life in the universe. It is considered to be the driving force behind everything that exists. The objective of Taoism is for a person to align harmoniously with the ‘Tao’ i.e. to achieve immortality by taking the right path in life. In Taoism, the focus is more on a personal, as it helps to find harmony and balance of one-self. It also says that everything in the world is simple, correct and good, but life only becomes complex when human being choose to live a complex life. This concept of Taoism was based on the philosophical and political text written by Laozi (Lao Tzu) between the 3rd or 4th centuries B.C.E. The purpose in both, Taoism and Buddhism is to achieve the ultimate goal i.e. to surpass life on earth as a physical being, and to achieve harmony with nature and the universe i.e. by achieving immortality. And, this ultimate goal can be achieved by following the right path or behavior. Though, their ambition is the same, their paths are poles apart. Here, both believe that there is an ‘Inner Light’ which leads the person on the right path to reach the goal, and in Buddhism, the path to enlightenment is by following the ‘eight paths’ defined by Buddha. While, in Taoism, the path to Tao it comes from within the individual i.e. himself. Similarly, both the ideologies have parallel beliefs, traditions and ideas, but they have a different way of looking and following their way of life. Further differences between the two religions can be read in the table below. About 2,500 years ago, circa 563 B.C.E in Nepal, India. It is defined as the teachings of Buddha. The term ‘Budhi’ means ‘to awaken’. It is about philosophy and religious traditions that focus on compassion, moderation and humility. It is about following the teachings of Buddha. To attain enlightenment and be released from the cycle of rebirth and death, thus attaining Nirvana. Monasteries, nunneries, pagodas and temples. Union between a man and a woman. Seen as a social convention, not a religious duty. Advices for happy and harmonious marriage. There is a cycle of rebirth in 31 realms as decided by karma. Good karma leads to reborn in the 26 realms of happiness. Bad karma leads to reborn in the four remaining realms of suffering. It does not believe in god. There is no gender bias. Men and women are treated equally. The article contradicts itself: "Buddhism, on the other hand, was established a few centuries earlier than Taoism." Date of origin of Taoism: "Approx. 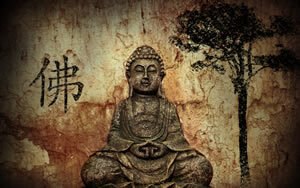 550 B.C.E" Origin of Buddhism: "563 B.C.E." Only 13 years apart. 563 B.C.E. is approx. 550 B.C.E. As per many religious texts, an exact date is hard to determine. According to history, Buddha lived and taught in the Eastern part of India between the 6th and 4th century. And, Taoism is based on the philosophical and political text written by Laozi (Lao Tzu) between the 3rd or 4th centuries B.C.E. Thus, Richard we can say that the origin of both the individual ideas were in different centuries, but the formation and teaching of their religion or organization was in the same century, 13 years apart.